Today, May 30th only, head over to Amazon and save on Highwood USA Adirondack Chairs. Even better, all of the available chairs ship for free. 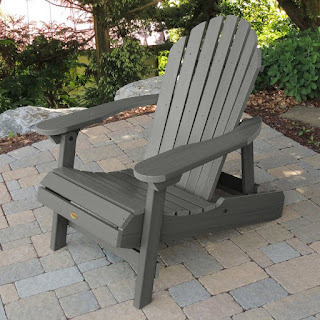 As an idea, score this Hamilton Folding and Reclining Adirondack Chair for just $199 shipped (Retail up to $369) – choose from a variety of colors. These chairs are made in the USA from recycled plastic, feature a reclining option and they can stay outside all year long! Plus, they come with a 12-year limited warranty.